One of the biggest challenges on Thanksgiving day is stovetop space. Every burner is occupied with one task or the other. So why not use your MultiPot pressure cooker to fix the mashed potatoes? Genius! Light, creamy, and fluffy all at once, these may be the best mashed potatoes that you ever eat. Best of all, they are ready in nearly no time, so you don't have to wait for Thanksgiving. You can even make them for weeknight dinners any time of year! Using a potato ricer to ‘mash’ the potatoes can really improve the texture of the final dish. It keeps them super light and fluffy. Yukon Golds are incredibly versatile medium-size potatoes with a beautiful buttery taste. They are perfect for mashed potatoes. Per Serving: 375 calories; 18g fat; 48.9g carbohydrates; 7g protein; 51mg cholesterol; 244mg sodium. I'm going five stars even though I ultimately stirred cream cheese into the potatoes because I cannot be stopped in my search for decadent creaminess with my mashed potatoes. So easy and delicious! Yummy basic mashed potatoes dish! Using a ricer is definitely key for a nice texture. I like to add a little bit of whipped cream cheese to my potatoes for that extra creaminess. 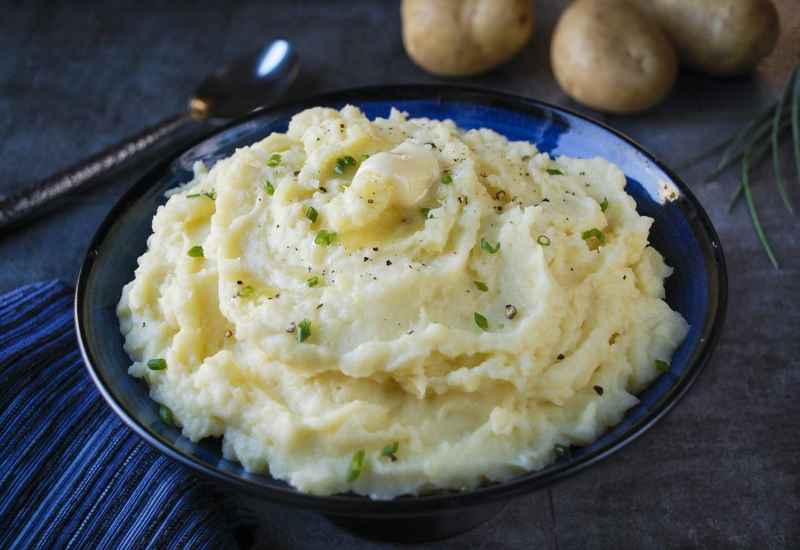 These are some of the easiest but most delicious mashed potatoes I've ever made. This will be my go to from now on. This was so easy, never would've thought to use my pressure cooker for this. I added a little extra heavy cream and they were perfection. I used this as the base to my pressure cooker beef bourgignon! They were perfect as the base, but would be so yummy alone as a side, too!